Last Chance for Tree Pick Up!Treephilly Last Chance for Tree Pick Up! Last Chance for Tree Pick Up! This past Saturday we had our last TreePhilly Yard Tree Program event of the season; over 100 people came out to Hunting Park to learn how to plant and care for their trees, choose the right trees for their home, and take their new trees home to plant! 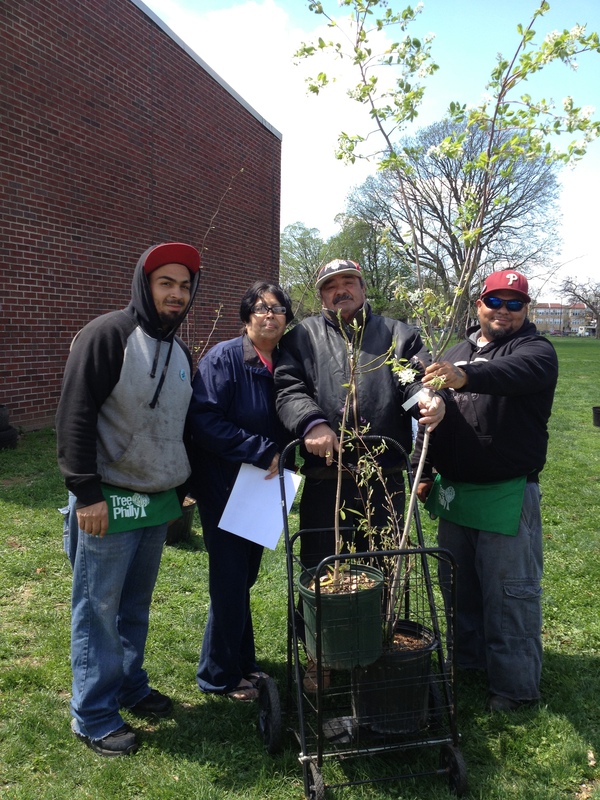 (TreeKeepers Antonio and Arturo help select a Sweetbay Magnolia and a Serviceberry for Hunting Park residents to take home and plant in their yard) But if you missed your chance to get a free tree, don’t despair! TreePhilly will be celebrating Arbor Day this Friday, and we will bring some of the left over trees to the event to give away on a first-come, first-served basis. Mayor Nutter will be there to address the group, so come early to hear him speak about trees in the city! Last chance to get a tree: Marian Anderson Recreation Center 740 S. 17th St. Philadelphia, PA 19146 Friday, April 26th, 1:45 to 4pm See you there!